We’re a busy family. Two kiddos under three and two working parents makes life challenging to manage day-to-day. My husband and I are neat and tidy folks with type-A personalities so we both get a little edgy when the chores pile up. 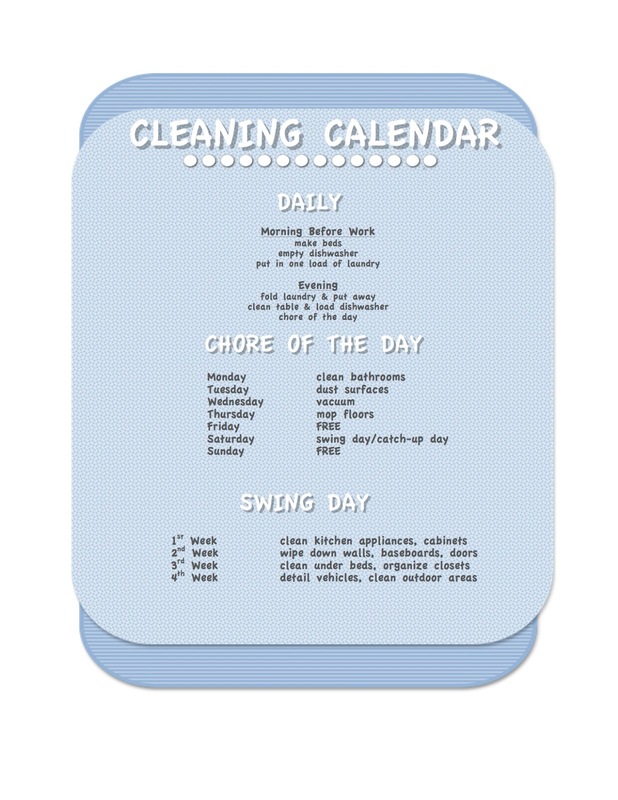 My husband came across this great image of a cleaning calendar from the blog bakerette.com when he was searching for ideas on how to get more organized with household chores. This calendar was such a great idea, but I wanted to create one for myself that I could update with chores that better fit our lives. Now I want to share an editable version with you! Click on the link above to download my google doc. To edit the chores in the text boxes, just click on the text and start typing! I used “Apple Casual” for the font to match the headings I created so depending on the fonts available to you, your download might look a little different. Isn’t that the great thing about being able to edit it? If you like what we’re up to and don’t need to change the chores, feel free to just save my image. Like this? 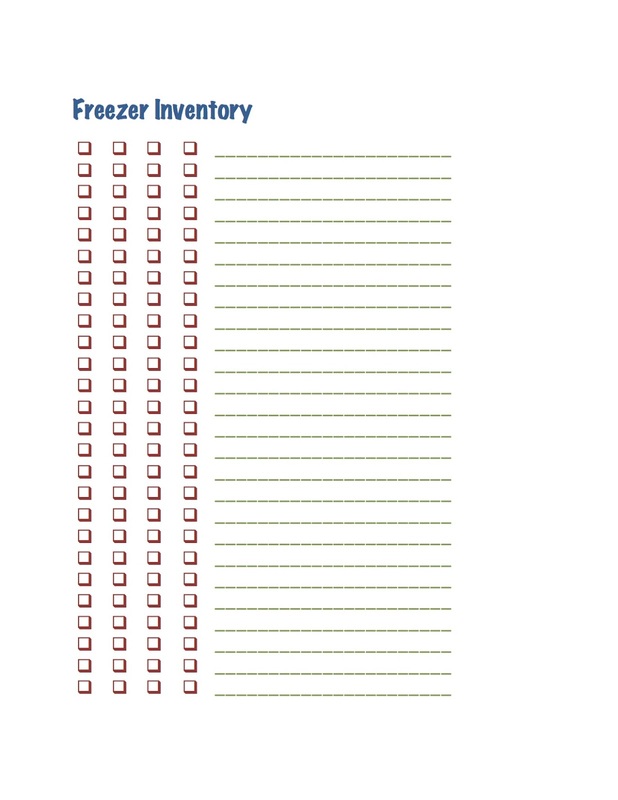 Maybe you’d be interested in a freezer inventory too. This was another great pinterest find that I made my own. I use it to keep track of all of the proteins, veggies and pre-made meals stored in my freezer. If you laminate it, you can use a dry-erase marker to mark the checkboxes on the left with one slash to indicate the number of an item in the freezer (like three boxes slashed for three pounds of ground beef) then I complete the X once the item has been used.